As every summer for the past two years I've posted a review about a book in a series that I absolutely adore. And when I say adore, I really mean lots more than that word can ever describe. The book I want to talk about today is also one of that series and also written by one of my most favorite authors! 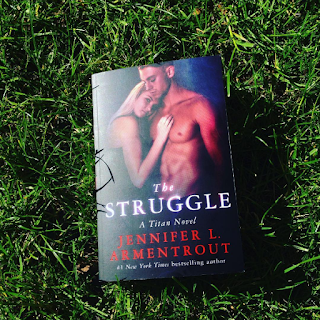 If you followed around on my blog, you might already know how much I love this author and her books: The Struggle by Jennifer L. Armentrout. WARNING For the ones here that haven't read the first in this series, I recommend you not to read on since there will be further developments to the characters and to the plot. This will create a less pleasant read of The Return and The Power because you know more information than you already should. Therefore, I recommend you not to read the review of The Struggle but to read the review about the first in the series: The Return or the second in the series: The Power. Just clicking on the title will open a new page with the review on the first book. This book series is also a sequel to the Covenant series by Jennifer L. Armentrout. If you haven't read that series yet but plan on reading it I also suggest to not read any of these books first, since they reveal details of the ending of the Covenant series which comes before these books! If you're interested in finding out what the Covenant series is I also wrote review on those! 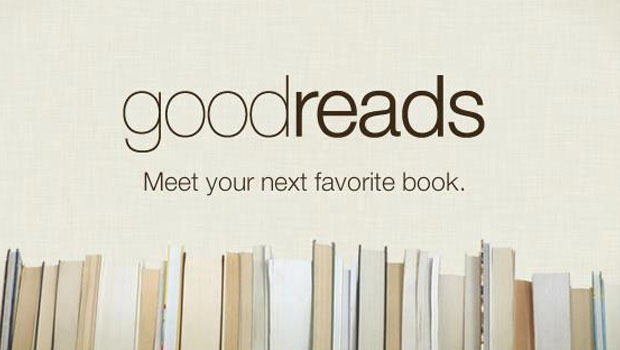 By clicking on the title of the first book a new page will open and reveal the review: Half-blood. Everyone is doubting of what Seth has become. Only one person trusts him with her life and she's the only one willingly to seek him out and this time help Seth to become who he really should be. Believing that Seth isn't a monster, Josie starts to seek him all over the world. However this won't stop the Titans from attacking and getting what they've always wanted: absolute power and control. As they strike their battles against Josie and her friends, the other demi-gods are still in danger and Josie being one of those gods the Titans want doesn't mean anything good. Running from the titans and meanwhile searching for the person she loves, Josie will be in complicated situations where she has to choose between her own life or his. The question is, will she ever find Seth before it's too late? As always we'll start with the characters and start with Josie! I really have to say that I admire Josie so much. I've always thought she was a very strong woman, especially with how she handles everything and because her world totally got turned upside down and she kept going. This book really brings another facet to that, in the other books I felt like the focus was on her not being able to defend herself physically and her learning that she could do this on her own. This time around you really felt the emotional part where she was strong and independent for someone else she felt really strong about. Josie really is the only one who wants to help Seth now he is what he is, which we don't even really know. I really admired Josie being strong for someone else and willing to fight for others and not just think about the greater problem which were the titans. Once again we really saw another side of Josie's strong character which I think is a great asset to the series in general as well. It's really amazing how the author can still make us see new facets and parts of a character, and Jennifer L. Armentrout really did that with Josie. As always I admire her in every way possible and grow to love her even more. Especially because she'll have to endure a lot more during this book than she has in every other book before. And it doesn't only stays with physical strength or mental strength, the author really does make sure that Josie can prove to be a strong female character in every way possible. An amazing well written character she is, she really amazes me each time around! As for our other main character Seth, I really was feeling so happy when he finally got into the book! The author really leaves us in suspension at the beginning of the book, making us wait on SETH! Although I have to say this really gave a big boost to my excitement of seeing him and also brought mystery to where he was and what he was doing, I was so happy to finally see him! Seth really will be a big mystery for most of the beginning of the book which I think is marvelous when you think about it. The author gave us such a strong character that changes so much from how we once knew him in the rest of the books. He's such an amazing person to Josie and his friends, very protective but gentle and still has this cockiness from time to time. However last time around in The Power, Seth changed and nobody knows if it was for the better or not. We only know he left Josie which is a big thing for the both of them and will have major impacts. I can't really say much more than that because that would totally ruin the read. All I want to say is that whatever happened to Seth will become clear during the read, but the author really made us wait for it which I think isn't a bad thing but really adds to our mystery and excitement. When he does come around though I really loved Seth, as usual, and really was glad to see him in the picture again. More I won't say because that might give away how his change affected everything around him, his relationships and his personality. Just know: I heart Seth, okay? What I can say more about the relationship between Josie and Seth is that Seth being gone and being whatever the heck he's being really will affect their relationship. In what way I can't tell since that's something for you to find out, but I can say that it reaches another level and deepness I never thought was possible between the two. Once again the author made sure we could see more and root even deeper for these two and I think that's the best thing she could ever give us! Above that the author has this major surprise during this read that involves both of them and you guys cannot even guess how exited I am for that! Now the plot because oh wow the plot. Of course there's this big problem that the book will focus on: the Titans. This is a problem that's been overshadowing this whole series and what it really is about. Defeating them will therefore be a major thing in this book. Last time in The Power, they were already searching for other demi-gods which now will continue. I have to say that these demi-gods really will give an impact that leaves you chilled and feeling things you never thought you'd ever feel. I personally hadn't seen coming what will happen with them as it also involves one of the characters we've been looking at closely during the books. The titans will also be involved with this situation of the demi-gods which really gives it a lot more suspicion and thrill. The thing with the titans is, is that in The Struggle they will really start to come forward and will be more involved. We'll see more of them, their behavior and their motives, than we did in any other book before this. This is something I really enjoyed because they're the enemy and being able to situate them was a really good thing during this read. It also gives way to thinking about how we can defeat them and how they'll approach the rest of our characters. A really good plot part in my opinion to boost the series! Of course next to the overshadowing problem of the series there's Seth being something we don't know what. As I mentioned before we really get to wait it out and drown in mystery! That's the thing I really loved most about this book: the big question about Seth. Him being this whole other thing really divides the group of friends he has and will also majorly affect everyone and the situation. Even if we don't know what he is and if he changed for the better or not, this will bring feels all over the place and that's what I really adored. The impact this will all have on his relationship is also something highly discussed during the book and also something I could really agree was necessary. I can't go too deep into this one especially because it's a big thing in the book, all I can say is that the author really wrote some major surprises during this book and really made sure we totally understood the situation. Speaking of surprises there's this one thing that surprised me so much and involves our two main characters! Yes, I can't tell but know that surprise is waiting for you and the author did something I never thought would ever happen. Next to being in for surprises during this book and a lot of revelations, I really know that this book will give the readers all they wanted and were waiting for in this book. Once again it has so much thrill and new aspects that boost the book and never make it boring. It makes you exited, it makes you feel so many things and above that the titans will be more involved which will bring situations you never thought would happen involving Josie, involving the other demi-gods and even just the gods. I have to say I was not disappointed at all during this read and the things that will be revealed... oh holy book gods, be ready for it! There's another book after this one and we have to wait so long once again but the wait will be so worth it! Such non real characters but such REAL feelings! Gah, just absolutely amazing! 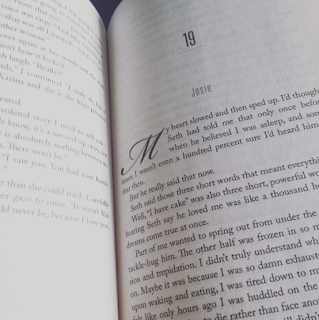 As always I have nothing to complain about when it comes to Jennifer L. Armentrout. 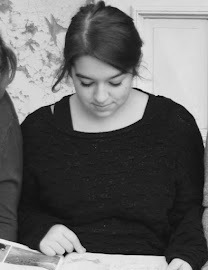 Her stories are filled with thrill and romance that makes your head spin and your heart race. And once again, even if it's the 3rd book in the series, she managed to present an amazing book that won't make you stop reading. I fell in love even more with the main characters as both really make life changing decisions and try to find out what's best for either of them. Of course we finally get answers to questions and get more thrill in this book than I had ever anticipated. The Struggle is also topped of with a lot of unexpected twists and turns I never thought we'd get to read in Seth and Josie's story and believe me when I say that I was that excited and scared that I probably needed medical help! I really couldn't get enough of this book as it contains surprise, romance, changes, decisions, action and of course amazing characters that might or might not make thrilling changes because of... things. I absolutely LOVED this book. If you haven't read Seth's sequal: BE ASHAMED! And pick it up. "A bloody path has been chosen. The Great War fought by the few is coming and in the end the sun will fall..."